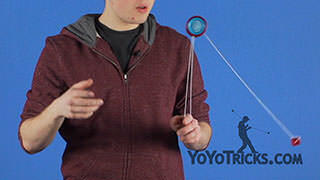 How to String a CounterWeight Yoyo TrickIn this video I’m going to show you how to string your counterweight, and I am also show you to the YoYoTricks.com machined delrin ultra counterweight, or the Ultraweight as we like to call it for short. 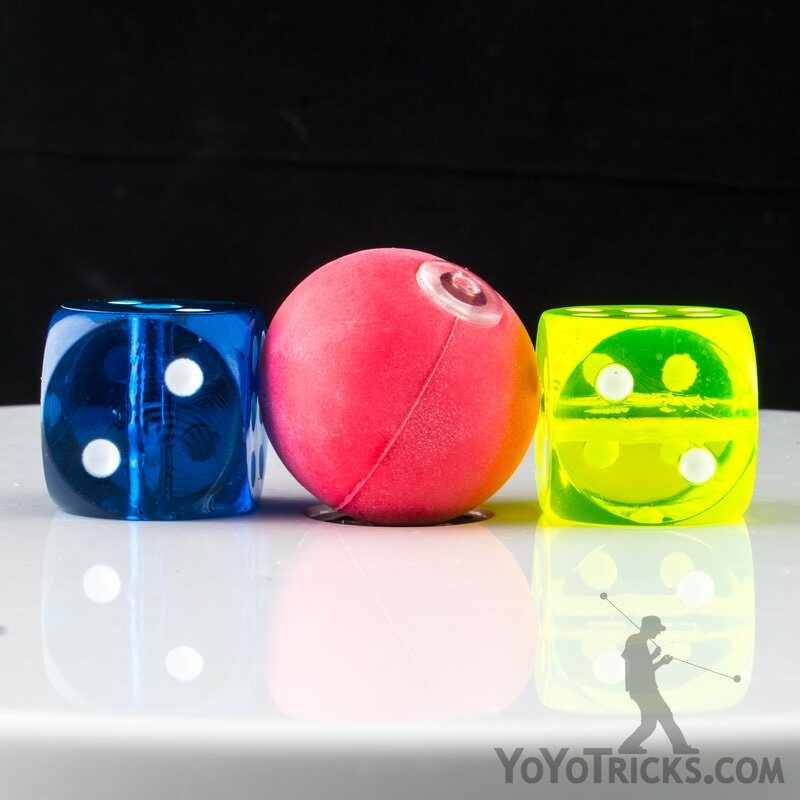 So lets start with the Duncan Dice. 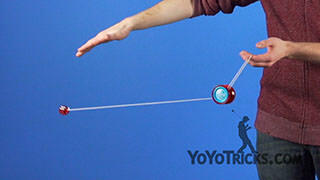 You’ll see that this counterweight has a hole going through the middle. 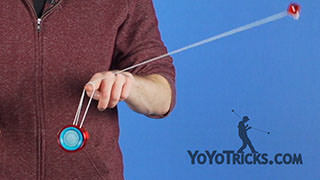 So what you want to do is you want to take the loop end of your yoyo string and pass it through the hole, pull it through. Then you want to take the slipknot end and you want to pass the loop end through it and then you want to pull the string all the way tight until that slipknot closes around the counterweight and you will see that the counterweight can not come out. 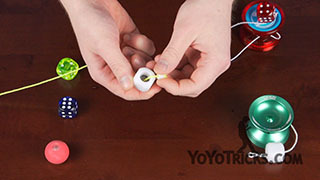 There is also another really handy way to do this, if you do not want to take the string off of the yoyo. So what you do is take the slipknot and then you pass it through the hole in the counterweight, and you want to pull it all the way through. 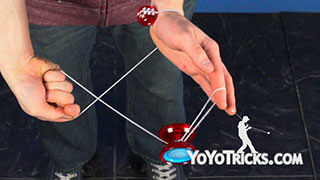 Then you want make a finger loop at the end of the string with the slipknot. Open it up wide and then you want to pass the counterweight through that finger loop and you want to pull that finger loop tight and that is going to make a new slipknot pull that new slipknot tight and it is going to lock around the counterweight and the counterweight can not come off. 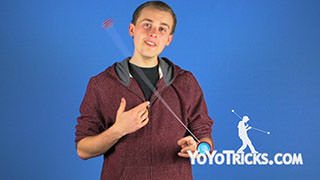 Up next we have the YoYoTricks.com ultraweight. 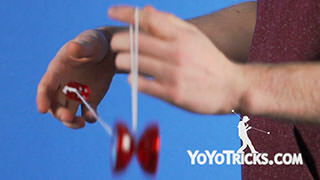 This is actually the same counterweight I used to win the World YoYo Contest. 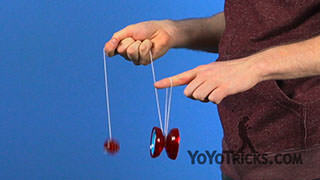 It has a whole bunch of nice features that really make it a superior choice to the regular Duncan Counterweight. You will see that the edges are much more rounded so it hurts much less when it hits your knuckles the standard Duncan counterweight is pretty notorious for hurting quite a bit and it also has this ball bearing on the inside. 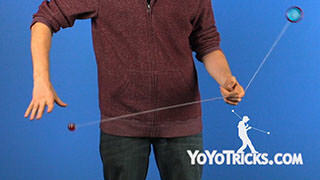 That ball bearing helps control string tension and we’ll touch on that a little bit more later. 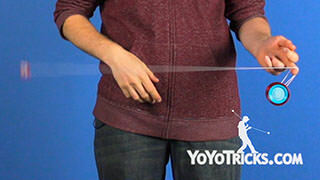 So to string the ultraweight, first you want to look at the bead and you will see that the bead has two different sides it has this thicker side and it has this thinner side and that thinner side is made to fit into the bearing. 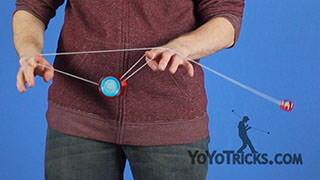 So what you want to do is you want to take the thicker side and you want to pass the loop end of your string through it. It helps if you use a newer string because the loop is going to be tighter and it is easier to get through that tiny little hole and you want to pull it all the way through until the slipknot is right on top of that bead. Then you want to take the loop end of your string again, pass it through the big hole on the top of the Ultraweight and through the little hole on the bottom. You want to pull it all the way through. 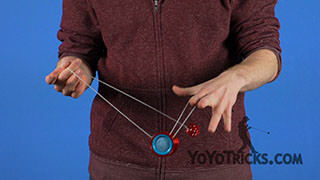 The bead will sit right inside the bearing. 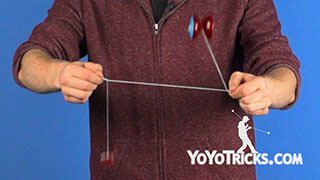 Then you will see that the bead on the inside can spin freely separately from the bearing so while you are doing tricks the string can spin itself and neutralizes the string tension and that really helps with advanced 5a tricks. 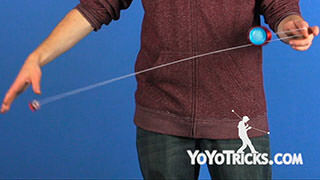 That is how you string your counterweight.